Windows are the showcase feature of your home. They determine the character and appearance of your property. We can create windows of numerous different designs to match the style of your house. Choose from classic casement, tilt and turn, French opening, vertical sliding, bay, shapes, mock horn or any design. All our windows are bespoke and come in a range of woodgrains and colours. 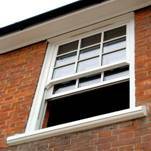 Brand Windows are experienced casement window installers with thousands of satisfied customers in the Newbury and surrounding area since 1973. Our highly experienced installation team maintain a consistently high standard of installation with much of our business being obtained through recommendation. 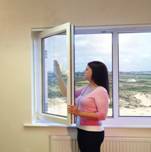 Our windows offer high security with low-maintenance performance. Our multi-chambered frame designs deliver exceptional strength and energy efficiency. No more costly painting or repairing and an end to worries about rotting timber windows for good. We recommend at least a yearly clean of all frames and glass with warm soapy water and a light oiling of all moving parts, hinges, handles and locks to keep all your new windows looking good for many years to come. 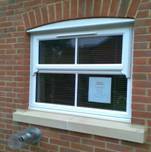 UPVC windows will add value to your home so protecting your investment. When the time comes to sell, after you have enjoyed many years of comfort and low maintenance, a house with UPVC windows is more attractive to prospective buyers. A window system with Durability & Longlife designed with the benefit of many years of expertise, product development and manufactured to last, in Great Britain. Choose from Bevelled or Ovalo frame and bead details, for a visually attractive window with clean sight lines, looking great inside and outside your home. 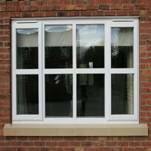 Our casement windows offer security and energy efficiency with a style to match any property. The very distinctive style and flair of a continental window, offering a chic appearance combining excellent ventilation, security and means of escape. Our upvc Georgian sliding sash windows create the classic stylish look to fit into your property, without the associated risks of draughts and poor security. 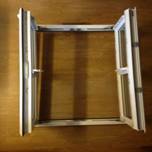 Stylish, classic look of sliding sash Georgian window manufactured from a casement window profile to fit any property. 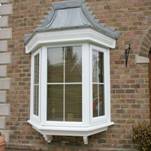 Our shaped windows can be manufactured to almost any design and style to match any property. This contractor was very professional from start to finish. The installers worked very quickly and efficiently, were polite and friendly. I would have no problems recommending them to anyone. Very good called to say thank you after work completed. Very professional from start to finish. I have been very pleased with all aspects of Brand Windows service. Excellent survey and installation team. The installers were very experienced and efficient – also very pleasant. As they are quite local I am glad I tried them instead of a firm in Newbury who were not so customer focused. Great customer service from salesman to fitters to wonderful customer service team in the office. Very professional fitters – work done to a high standard – would definitely recommend. I would HIGHLY recommend this company, great service, value and courtesy. Brand Windows is always the cheapest and the service is excellent. Excellent and good humoured throughout in spite of the job being larger than anticipated. Very nice couple of men, polite, courteous and did a few alterations as asked without fuss. Efficient, courteous, on time and tidy. Efficient service from start to finish. Fine, All very responsive and communicative – no nonsense. Workmen friendly and helpful and confirmed detail of finishing requirements on the day, prior to action. Website designed & developed by Eagle Software Ltd.